It’s an offer many find hard to resist: click here for a trial sample of the "fountain of youth" in a bottle, an "age-defying serum" that provides an "instant facelift" making you look "10 years younger." At least those are the claims of Internet ads, often directed through Facebook and Google toward women of a certain age. They got Elsa App’s attention as she browsed Facebook recently – and so did the $89.85 charge the showed up weeks later on her back account, after she agreed to pay a $4.95 shipping fee for what she thought was an otherwise free trial offer. She admits – she did not read the small print that said she would be billed $89.85 a month for the wrinkle-reducing cream, unless she rejected the offer within two weeks. And elsewhere, too, judging from the patterns of complaints filed with the Better Business Bureau about the product App purchased – Derma Juve – and a similar wrinkle-reducing cream, Dermajuvenate, with a similar trial offer that results in recurring bills. Both names appear derived from a legitimate wrinkle-reducing product -- the injectable Juvederm. 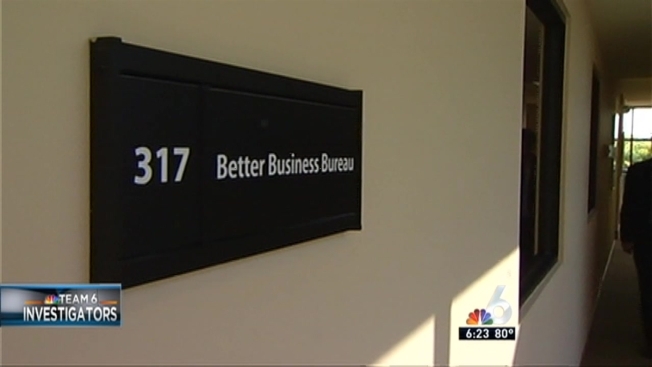 And, citing hundreds of complaints, the BBB gives both Florida-based companies an F rating. We tried to reach out to Dermajuvenate, but found no signs of the company at the Boca Raton address listed on its corporate record. A call to Derma Juve seeking comment was routed to a call center, where the person answering said he could not comment. App was able to reach Derma Juve and, after two days, reached a settlement. Davis said to avoid similar problems, run a company or product name through the BBB.org website and, of course, read all the fine print of any offer.